Official copies of transcripts are those sent directly from the Office of the Registrar to a third party. Unofficial copies of transcripts stamped "issued to student," are those given directly to the student in person or by mail. Official copies issued to students are in a signed, sealed envelope. Breaking the seal makes the transcript unofficial. 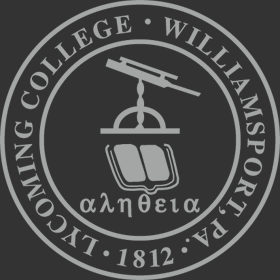 Lycoming College, in partnership with PARCHMENT, provides twenty-four hour access to online transcript ordering through a secure website. Please note that if you attended PRIOR to 1986, this option is unavailable. If you need an electronic transcript sent via email, it must be processed through Parchment. The cost to have a paper transcript sent through this service will be $5.25 per transcript (USPS Domestic). Additional fees will apply for International and/or FedEx delivery. Order updates are emailed to you and you can also check your order status and history online. Transcripts can be obtained by following this link to the National Student Clearinghouse. Follow the onscreen prompts. Additional processing fees will apply. Federal regulations prohibit the processing of transcripts without a written request from the student or former student. You may submit a completed transcript request form or letter. In order for your request to be processed, you must sign the form and you must enclose the appropriate fees. Transcripts will not be issued for any individual whose financial obligation to the college has not been satisfied. Incomplete forms or those with financial holds will be returned. All transcript requests are processed in the order received. Transcripts are processed within three working days during non-peak seasons. During peak seasons (beginning and end of a term) it can take up to 14 business days. Lycoming College will NOT fax transcripts. Students currently enrolled at Lycoming College are exempt from the transcript fee. * Express Mailing fees still apply. Transcript processing fees are $5.00 for the first copy and $1.00 for each additional transcript in the same request. To have a transcript sent by Federal Express, there is an additional fee of $30 within the continental US. Please contact our office for delivery rates to Alaska, Hawaii and International destinations. You may fax the completed form to the attention of The Office of the Registrar at 570-321-4980 or scan and email the completed form as an attachment to gamble@lycoming.edu. This only applies to paper copies of transcripts being ordered directly from the Registrar's Office. Name while attending Lycoming College. If a graduate, your graduation date, if not, the last semester and year you attended. Address transcript will be mailed to. Federal Law Requires Your signature. If the transcript is to be sent to you, it will be official unless otherwise indicated. You may order a maximum of 25 transcripts in one order.